RIM CEO Thorsten Heins is going to be a household name by the time January comes around. As we get closer and closer to the January 30th introduction of BlackBerry 10, Heins will be quoted in the blogosphere, the business press, and the mainstream media. And to paraphrase one of Heins' latest pronouncements, size doesn't matter. Before you jump to conclusions about the subject matter, let's tell you right away that Heins is talking about comparing the number of apps in BlackBerry App World to the competition. When BlackBerry 10 is ready to launch early next year, BlackBerry App World will have a far fewer number of apps available compared to the large number in the Apple App Store and Google Play Store. But Heins says that the number of apps doesn't matter and he does have a game plan in place. 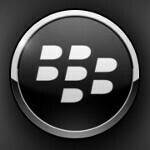 BlackBerry will focus on having the top 200 to 400 apps available for each country and region. While Apple and Google swing around the number of apps available in their respective app stores like a giant phallic symbol, Heins does have a valid point. How many of those 700,000 apps available for iOS or Android are actually installed by users, or actually serve a useful purpose? The problem for RIM is that the mainstream media and much of the smartphone buying public responds to size with bigger being perceived as better. He's right. The App Store and Google Play have 700,000 apps a piece. Of those, I've used maybe a few of hundred, and "need" only a few dozen. It's ridiculous to praise an app store for having so many repetitive or useless apps. I don't think that it's unrealistic to expect Blackberry to get "just enough" apps to be successful. Having the most fart apps of any platform isn't going to move devices. And when the main target market is business users, I seriously doubt that being the first platform to get the latest Angry Birds is a factor, either. He isn't correct. The world is bigger than you, or you and your family, or even you and any combination of associates. If you need a few hundred, and I need a few hundred different ones, and my friend in Israel who speaks Hebrew needs a few hundred others, it starts to add up quick. These app stores are not local mercantiles, they are global marketplaces. Yes, there is some overlap between your apps, my apps, and Moshi's apps (Facebook, Twitter, etc. ), but the bigger the App Store, the more people can make use of it. Then you have the quality issue. There are tons of fart and joke apps, and just generally thrown together apps in all app stores. The smaller your app store, the higher the percentage of poor apps (I'm looking at you, Windows Marketplace). Smaller marketplaces like App World and the WP market also have more expensive apps as devs seek to make more money from smaller installed bases. I concede that the world is larger than I, but it does not need 700,000 apps. In fact, most iOS apps (and I assume the same goes for Android) haven't even been downloaded once. And the percentage of bad apps, if anything, probably increases with the size of the store. You just see fewer of them, because there are simply more quality apps. The Top 100 apps on a large app store are likely all good ones; on a tiny store, some will be good, but many will be terrible. An overwhelming majority of Android and iOS apps are probably garbage. We just haven't seen all of them to be able to say that for certain. 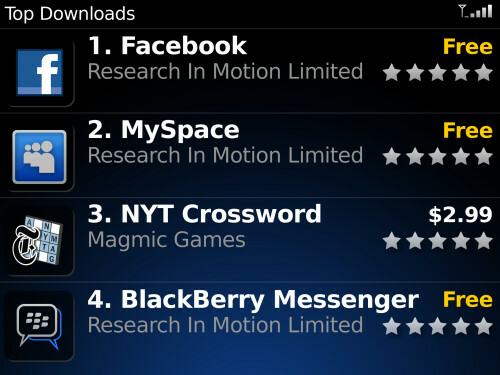 And how many apps in BB appstore are garbage? I think a lot, RIM has to increase the size of their store and quick. I guess serious apps developers will wait before putting their app there. Heins has to talk up BB and that's his job, so he will try even if it means misleading people. And you know the quality of apps coming for BB10... how? Is it unlikely they will have only premier, high quality apps at the start of a new OS? Sure. But for everyone just to assume there won't be a decent selection at the start is unfair. BlackBerry has delayed and worked hard at this launch. Developers are more likely to develop for them, they have an established market and a dedicated user base. I am not holding my breathe, but I am willing to see what they have to offer within the first few months. I don't know and I think not many know, so RIM must show what they have and not just talking such empty words. Talk is cheap. Actually, RIM has a BB10 user base of exactly zero (0). There are no customers using BB10 phones, so there are no customers to run BB10 apps, and BB10 apps will not work on any existing RIM BlackBerries, and probably won't run on the PlayBook either. So I can't see why developers who haven't previously written BlackBerry apps would want to develop for them. Without a doubt, most of the apps in any app store are awful. That said, the number of apps means little. The number of good apps means something, but beyond a couple thousand, diminishing returns kick in. The point here is that Blackberry 10 doesn't need to have hundreds of thousands of apps to take off. It needs to be stable, secure, and fairly easy to use, and then offer at least the apps that people need to have. Heins has been exaggerating BB10 quite a lot (that whole "mobile computing" nonsense comes to mind), but this is one thing where I think he hit the nail on the head. The aim is to stock the App World with good apps, not many apps. Whether he can make this happen obviously remains to be seen, though. I honestly never cared for Blackberries, but competition breeds innovation. BB10 stealing some market share would be a solid push for Google, Apple, and Microsoft. It's not the size, but how you wield it that matters. This is my problem with the Android play store. So many apps that do the same and so many apps that nobody knows. I don't know about apple app store but probably not very different than play store. But even if you have a lot of apps that do the same, some apps do things better than the others and some are a little different, so variety is important, even if it does the same purpose. Most of iOS and Android apps have never even been looked at, much less bought. I mainly go for the utility Apps and don't burden my phone/battery with music or games-leave that for my 3DS XL. This is something that I can actually agree with RIM on. Thousands of apps on the Play and App store and many are not used or are replicated, just a different name. lol, u all agreeing with Heins, for it doesn't mater for the number of apps, and thats the first thing u use against Windows Phone OS!! Long before reading this article, I realized that quantity isn't quality. So, while reading the article, the statement that "he does have a point" came up in my mind, as well as to the writer's mind. That idea may not hit its mark in countries like the U.S., where "big, big big flash, bang, boom" is the way to impress. Still, I think that among the business community, it's known that effectiveness, rather than appearances (or quantity) makes the difference in desireability. Heins has been going about the business of restructuring and redirecting RIM back to relevance and true value. They, at RIM, knew/know what they are up against. Do you think they simply wanted to carry through some non-existent "death wish"? If that had been, or were, the case, they would seem to be going about it in a very "backward" way. Way to go, RIM. It's good to feel you back again, and we look forward to your intelligence and effectiveness making itself strongly felt again. The "having the top 200 to 400 apps available for each country and region" sounds about right. As long as we also get to download/buy the other country's top apps at launch. Those Top apps need to be the Top ones from IOS, Android and BB7 though. I don't mind that at all considering all the most popular apps can be downloaded. Given they'll focus on 100 countries, the number of apps would be like 10,000 - 20,000 - assuming half of those apps are the same among the countries. This is a rough and simple calculation of course. After that, BB can expand its ecosystem further along with the more adoption of BB10. True indeed. The average person will probably never use more than a few hundred apps. At this point it is like the Cold War. Like the US and Russia, it didn't matter how many nuclear bombs they had because they each had enough to blow the world ten times over. What is important is that popular apps are present in the each OS's store. I highly doubt any living human being will actually go through and try tens of thousands of apps, let alone hundreds of thousands. I'd focus more on quantity rather than quality. Instagram is like Dropbox; it isn't just an app, but really a service. A similar app isn't good enough - you need the specific app. That you don't get why they are popular doesn't matter. They just are, and therefore people want them. yeah... numbers on an app store doesnt really matter! coz for example, the apple app store, the number of app that is downloaded are only around 150,000(it was reported here before) and some or most of the play store's content are not really trusted coz it might have viruses or malware! while i dont know about windows marketplace (windows store) but i dont know about now... coz i think windows store will grow... and fast! but since playbook has like 50,000 apps by now(before it was like 35,000 and counting and more titles are added everyday!) and just need to be ported to BB10, it will not be a problem! and besides android apps can be ported to BB10 too!!! but my point is... at least you'll have alternative to that kind of app! I think its very valid to say. We have been focused on the overall size of an app store but we miss the important notion needed to figure out which ones are the good ones that we will actually use. He says they will focus on the top 200 to 400 apps in each region. That makes sense because it brings whats important. All that means is there is no need tro trumpet that they have 800,000 apps available for download. The number is pointless but the quality and content is not. So yes, i would be very happy if the apps I have access to brings me everything I could want, 400 apps or less, because I do not know anyone who even has 400 apps on their device. And that apps we really need, I bet is a much much smaller number.